Happy Weekend! Oh happy day. It's my 700th post! For this milestone, I am delighted to partner with HP Philippines and EON for today's giveaway post. (Thank You so much! ;-D) We're giving out not one, but three (3) HP Printers. Yay! ^_^ Start your HP printing adventures now! So it's time to box up that yearsss old printer, discover HP Deskjet Ink Advantage now! Without further ado, here's to jumpstart your upgrade, we're rewarding my dear readers with HP Printers. This giveaway is open to my blog readers and subscribers 18 years old up, and who have access to Makati, Philippines. Prize (Printer) is to be picked up at EON office in Makati. Representative is allowed. Entry submission will end May 12, 2012, Local Time (Philippines). Last time we had a printer was when we first bought our computer way back in 2000. Afterwards, we never bought any printers from then on. Now, I am quite impressed with the features that a printer can offer. I am astonished especially with the 3D arts and crafts that can be achieved by just simply printing it. Amazing! If given the chance to win, I and my kids (son and daughter) would explore the arts and crafts. I got interested with the 3-D Monster Trucks which I am sure my son would love to play with. I now that this will not be only a new learning experience for my children but also to me. Can't wait to get loka loka over the how to's of the different activities HP Printers has to offer. 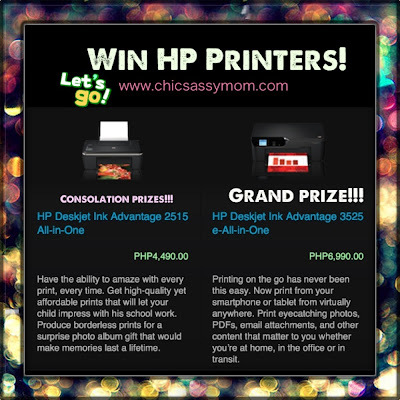 wanna win the hp printer my daughter needs this bcoz she's on her junior high school too many projects to print. If you win, what activity will you mots likely be doing with your HP Printer Prize? If I win, I'll print all the activities in the HP Ink Advantage A+ and give it to my four little brothers because I know that through it they will improve their learning experience through affordable, reliable and high-quality prints and they could also use the HP Printer for schools projects and other academic requirements. I am always on the lookout on how to help my son, who is on autism spectrum, improve his overall development without hurting my budget. I scouted for second-hand books that will grab his attention, joined free mom and child activities so he would have the chance to interact with other kids as well and got a free subscription of kids' magazines which feature animals. I believe that if I widen his enthusiasm to learn more about things, maybe, he would reach another stage of development. I really want to print storybooks with nice colors and big letters so he would be amazed of how nice it is to look at vivid colors. Your twitter beard is also an inspiration to me. I think it would make my son look longer on somebody's face who would wear it. He is also a big, big fan of big trucks like bulldozers, backhoes and the like. He will be very happy if I could print different pictures of bulldozers and backhoes and firetrucks and learn more about them. His fine motor is likewise weak so I'm thinking of printing worksheets where he can practice drawing shapes, writing the alphabet and numbers. If I win an HP Printer I'll print may CV or resume to look for a work. It will be great if I will win, it will be less cost for me since I don't need to go to computer shop just to print my CV. sa panahon ngayon na ang mahal ng lahat ng bagay... malaking tulong para sa aking anak lalong lalo na sa akin kng kami ay papalaring manalo ng printer dahil, napakamahal ng bilihin ngayon, dagdagan pa ng mga project sa school. Sa isang simpleng empleyado, ang konting katipiran ay malaking ipon na din sa amin. Ang 5 piso kada pahina ng pagpapaprint para sa isang project na inaabot ng ilang page lalo na at may mga picture, inaabot ng d baba sa 70pesos isang project. Ito ay katumbas na din nga kalahating kilo ng isda kng tutuusin. Kaya kng kami ang papalarin na manalo sa palarong ito, d lang ako ang magiging masaya kndi pati n rin ang aking anak at lalo pa syang gaganahan sa pag gawa ng project dahil di n nya kailangan magtipid at lalo pa nya itong mapapaganda. Salamat at may mga ganitong pagkakataon na nabibiyaan ang mga taong nangangailangan na hindi makayanan ang pangbili ng mga bagay na sa iba ay luho, pero sa ibang tao ay pangangailangan. f I win, I'll print all the activities in the HP Ink Advantage A+ ill give it to my nephew who is on grade3 most grade 3 students have a lot of activity so it will help my nephew! I would love to use it in my photo printing business because of it's reliability, quality prints and affordability that would be great help my for business. I would love to have the printer even the consolation because we don't have a printer I usually go to computer shop to print the documents I need to pass and going to photo shop for me to print my son's picture. I really wish and hope to win this for my son. If I win this giveaway, I'll use it for my projects because i am incoming 4th yr :) It will help me a lot to have high grades! Simula ata ma imbento ang printer, never pa ako nakatikim magmay-ari. Puro na lang sa labas ako mag pa print. Halos lahat ng Internet Shop Iba iba ang presyo, Meron dyan 5 peso, kung swertihin Ka 1 peso at kung mamalas malas, mayroon hanggang 20 Pesos. O Black and white lang yan, Ano pa kaya ang colored? Yan na siguro ang araw araw na routine kO twing sa printan buong araw. Mahirap ito para sa Buhay ng isang estudyante at buhay ng isang Ordinaryong mamamayan. Gigising Pa ako ng maaga, Maglalakad mula bahay namin hanggang sa PUP sta.mesa para lang makamura. Mura nga pero ang kalidad ng Print out ay di ganuon kaganda, Pero wala ako magagawa, Pipiso lang ang pera ko at lakad to the max uli pauwi para tunay na makatipid. Paano kaya kung magkaroon na ako ng HP printer, Lahat siguro nito magbabago. Lalaki ang productivity ko less the cost. Di lang yan sa pera kundi sa oras, pagod, panahon at kalidad. Marahil siguro kapag nag ka HP ako, Unang Una kong Gagawin, I print out na yung mga Projects at task na tagal ko na dapat pinaprint. Tapos, I print out naman ang Family Memories. Ang matindi pang gagawin ko, uupo lang ako sa tabi ng Hp printer ko at pagmamasdan ang ganda nya, ang alindog, at ang tahimik na galaw ng mga cartridges nito. Heaven yan Siguro, ang tunay na pinapangarap ko mula noon , ngayon at sa susunod pang bukas. Pwede ko bang mahingi ang matamis mong OO at makadaupang palad ko na ang HP kong Mahal? I want this printer for my printing needs. After reading about the great features of these new printers, I feel my old printer has to be retired. I want to use them to print lots of copies of the activities you featured with your handsome Chase so that my nephews and nieces can also experience such nice works of art. It would be great for Sunday get-togethers so that the kids will have great bonding moments as they enhance their artistic skills. If I win the HP Printer, I would most likely be doing the DIY Printable: Twitter Beard Mask. This one of the best online giveaways ever. Just in time for the coming school year. Keep it up and more power! Our bunso is a newly grad teacher major in gen sci, this printer would be a big help for her teaching aids =) and also for me who loves doing scrapbooks =) thanks for the chance! I've been a single mom for more than a year now. And no matter how I try to convince my self that I can cover everything at home without the help of a man, I hate to admit that I sometime find myself in a hole. Specially when it comes to school expenses. I have two daughters in grade school and there are class requirements that I really need to put out extra money from our budget. I am just a casual employee in an insurance company and what I earn can barely cover our basic necessities. Honestly, there are times I would need to print out school related documents using our company printer/ ink. Well, that's during "emergency" situation like when I really have no budget for my children's projects to be printed in computer shops. If only we have our very own printer at home. That's actually my project for this year's 13th month pay. I used last year's bonus in acquiring a deskstop which is has been very useful for my kids. An HP printer will be heaven-sent since it's ink are very efficient, low-cost yet quality product and most of all, environment friendly! If I win the HP Printer,Me and my son will surely love the #DIY Printable Pencil Toppers. I'm praying to win because 2 years na kami wala printer.Ang hirap kasi ang eldest ko Second Year na sa Law at balak sana niya na pa print na lang ibang Books niya kasi super mahal bumili atsaka super dami po talaga pinapa print niya kaya malaking tulong talaga sa amin ito,then my youngest na mahilig sa Art third year high school ,lumalabas pa ng bahay at punta ng Internet Cafe para lang mag pa print at gumawa ng project.Na minsan as a mom lagi ko rin iniisip safety niya.. If I win the printer, I'd use it to print flash cards and age-appropriate educational materials for my 13 month old baby. I believe that he'll learn more quickly if I will use colorful and eye-catching educational tools. Awesome giveaway! I'd really love to win this printer! My current inkjet needs to be retired, and I'm running out of ideas to keep my little boy pre-occupied this summer, without resorting to the TV and iPad! Printing DIY materials for fun learning at home with mommy is sure to be a treat for my son! If i win i'll make a lot of educational flash cards and different kinds of visual aids for my 2 years old niece. I'm sure that she will be very attracted by the vibrant colors that HP PRINTERS produce. This is a big help for may son if im gonna win. He will use this to prints all his projects and thesis. 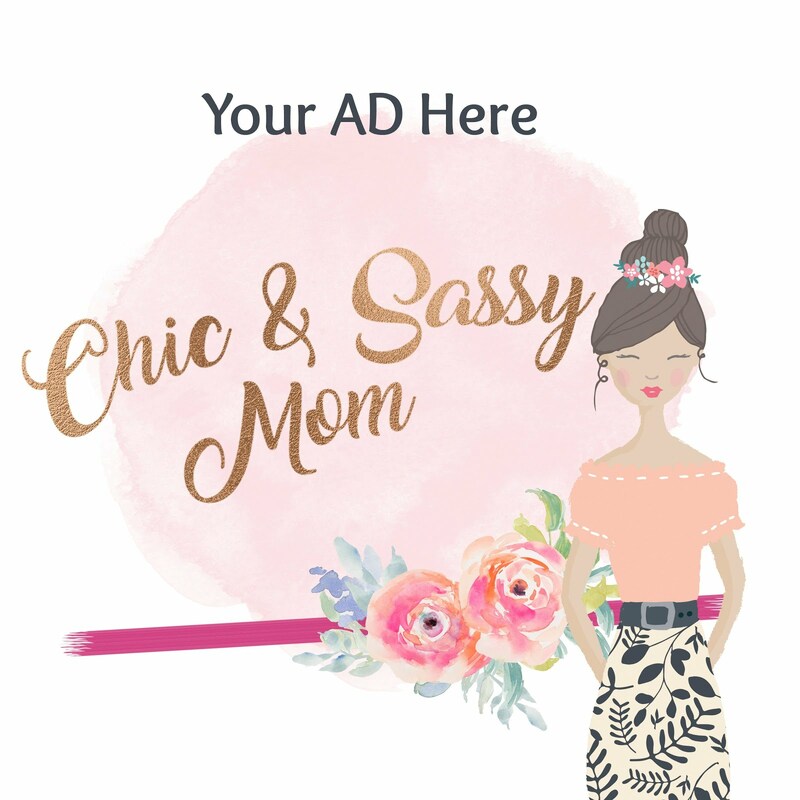 Thanks for the chance chic & sassy home maker! I would print Fruity business. I just thought it would be fun and educational, aside from the fact that niece loves fruits. This is one of the best things i will ever have. If I win the printer, I would certainly print the science projects such as the weather, the skeletal system; the math projects etc. I would be printing a lot of things with my daughter. I always believe that making studying concrete (with illustrations and pictures) makes learning for kids fun and easy to understand, that's why I always look for projects or illustrations that are applicable to her studies. HP projects are sure to be part of our studies and recreations too. I would also be using it for my scrapbooking and specially printing business documents as I have always rely on the quality of HP products to produce accurate and crisp copies of the documents I need. Hp printer is really a big help in my career. I use it to print reports, date, proposals, etc. It also helps my kid in their school assignments. Whenever they need to print a report or research. HP printers are also reliable & user friwndly. HP printer helps me save on inks. In case I win, I will be printing lots and lots of pictures. My children's album and scrapbooks need updating. The printers being given away would give me good quality prints that will last a lifetime. With the printer, I will finally be able to continue my projects of creating wonderful memories for my children to treasure. What a great giveaway! Most people prioritize buying a desk top or lap top or smart phone. With your giveaway, at least three people will get to enjoy the luxury of printing at home. Thank you! After vigorously assessing the state of my printer, I have come to realize that it is in dire need of replacement. I have no choice but to let it go after many years of togetherness. I see that this is the perfect time to turn over a new leaf. The HP Deskjet Ink Advantage provides a unique opportunity of top notch quality printing at an affordable price. I have always wanted to give it a try, and I am ready for it now. I can just imagine all the fun things I can do with this gizmo, should I win. My son and I can do the Kung Fu Panda pencil toppers like you and Chase did, or we could give the Toy Story pack and the Gumball Math a shot. I've been meaning to buy a printer, more so now that the little man is entering Prep - meaning there'll be more school projects and assignments that would require the use of a printer. But alas, whenever I think I'm ready to buy a new PC peripheral, something happens and the household budget just goes berserk! If I win any of the printers being given away, it would be a huge, huge help for my little man's schoolwork, and for our household expenses, too. Rest assured that if I bring home one of these babies, they will be put to very, very good use. My Lil boy will be going to school as nursery this year being a singlemom having an A+ HP Printer will help us a lot in doing some stuffs like making name tag and printing some labels for his school things and using and A+ HP Printer will be a handfuls of help for me because I'm a DIY and creative mom. If ever we will win this A+ HP printer me and my lil boy will help us a lot and add more income in our little computer business in our home to be more competitive to the other big computer shop to near in our area here in Bulacan because we have an upgrade and A+ HP printer with its high quality features: print, scan and copy + Web and we can print via wireless. This will be great Birthday Gift for me next week and on Mother's Day! It's been around 3 years since i had a decent printer at home, the last printer i owned served it's purpose but it became so old that i started getting a hard time looking for ink cartridges for my specific model until one day i couldnt find any at all! How sad! If and when i win this A+ HP printer i would definitely learn and do print-at-home card making. It will be perfect for all those special occassions we have year round, nothing could be more satisfying that handing out cards that i made myself and getting feedback from them and hopefully everyone i send a card to will like it. I could probably teach my hubby to make cards and who knows, he just might surprise me with a card of his own this mother's day! Yay! Not only that, this can also turn out to be a perfect business opportunity, printing out and selling cards that i make, take advantage of my free time and card making skills and earn and save much needed money for my kids education and whatever they may need in school. There are so many things i can do on this HP printer, maybe i will do all of them, but for now, print-at-home cards is my choice. Thank you! Mother knows best. Alam nya kung ano ang tama at mali. Para ring si Santa Claus who knows who’s naughty & nice - kung sino ang tapat at ang di nagsasabi ng totoo. I read that you are also a mother like me. So I’m not going to fabricate a story para lang manalo. Alam kong malalaman mo. • Tatlo ang nag-aaral naming mga anak. Ang husband ko lang na nasa Gobyerno ang may regular (pero maliit) na kita. Ako, may sideline bilang ahente ng kung ano ano. This means lahat ng mga gastusin other than food, kuryente, ilaw at tuition will have to wait. • Di makakapag-aral ng sabay sabay yung tatlo kung hindi dahil sa scholarship na nakuha ng pangalawa naming anak. Swerte at medyo marunong na bata. Nabigyan sya ng scholarship offer ng UA&P at ng ADMU. He chose the later dahil malapit lang sa amin at pwedeng lakarin sa oras na wala syang pamasahe. Last school year, sa dami ng mga assignments nilang tatlo na kailangang i-print halos araw-araw eh para na rin kaming may pang-apat na anak na pinapakain kung printing cost sa mga internet café ang pag-uusapan. • Nang makaipon ang hubby ko ng pera, bumili sya ng bagong printer. Ang brand ay kasing tunog pero ang features ay hindi kasing grand ng Grand Canyon sa America. Wala pang P2,000 ang bili nya. Mura! Nang maubos ang tinta, we learned that para ka na rin palang bibili ng bagong printer sa mahal ng dalawang cartridges nito na kailangan palang sabay mong papalitan kahit yung isa lang ang naubos. Said printer is now collecting dust sa attic namin and the kids are back sa mga café for their printing needs. • I mentioned earlier na may part-time job ako bilang ahente ng sari-saring produkto. Ako mismo ang nagpapagawa ng business cards pati ng mga brochures ng mga ibinebenta ko. Hindi pwedeng gamitin ko yung brochures at calling cards ng kumpanyang kinukunan ko ng products dahil kadalasan, sa kanila dumidiretso yung clients na nakukuha ko. Nawawalan ako ng kita. Alam nating lahat kung magkano mag-paprint ng professional quality na business cards at brochures. Sa lahat ng kadahilanang nabanggit ko sa itaas, malaking tulong kung mapapanalunan ko ang isa sa tatlong HP printers na ipamimigay nyo. Thanks for the opportunity and more power! 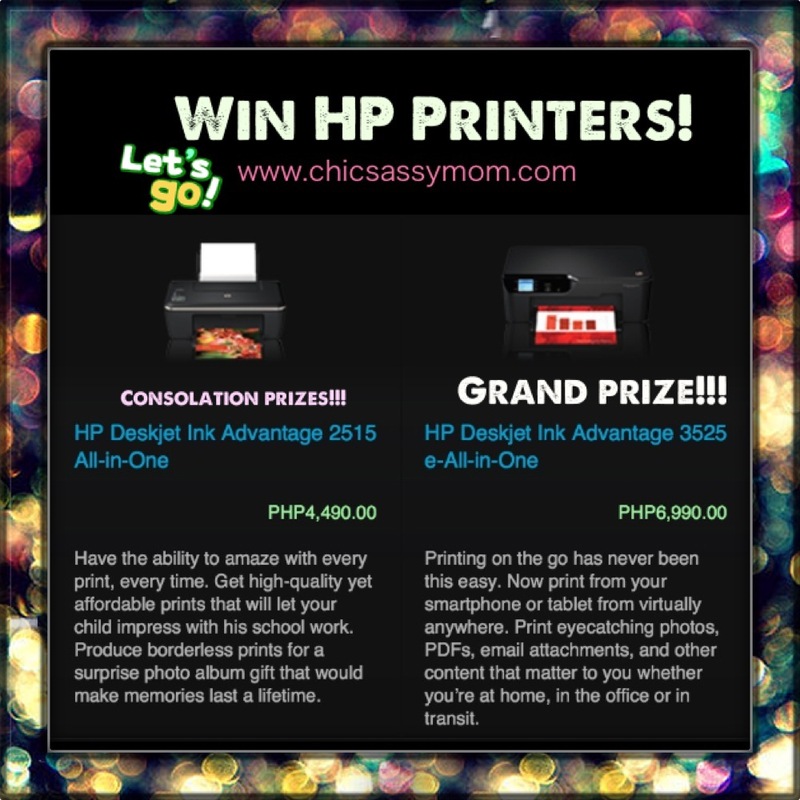 I would like to win Hp printer for my thesis. I know that I can do better with my presentation with my trusted brand. :D I got so interested in the 3d monster trucks! :D can I do my thesis in 3d? OF COURSE!WAHAHAH! Napakahilig ng anak ko sa Arts and Crafts kadalasan nga pag may mga free tutor about sa arts, craft and design she convinces me to go for that event. and after that ginagawa nyang mag isa yun sa bahay, nagsesearch siya kung anu yung mga magagandang design na pwede nyang iprint para gayahin pero buhat nung masira ang printer namin nahirapan na siya at parang nawala yung focus nya sa pagdodrawing. Matagal na nya hinihiling sa amin na bumili ng kapalit ng printer namin pero sa hina ng bussiness namin ngayon di namin magawa na mabili yun, and hoping for this contest manalo kami para maipagpatuloy at maenhance ng daughter ko yung talent nya. kung ako ang papalarin na mag ka printer lagi kong gagawin mag piprint ako ng mga email na mga panalo ko di kuna kailangan pumunta sa bayan para mag pa print. For the 7 long years we had this printer, we were only happy about its service for 2-3 years time. One reason is that it started, a few months after our purchase, to print noisily and became very wobbly (magalaw) while printing. Second, when printing multiple pages, the printer can easily paper jam that really causes hassle. Also, hindi na nagiging straight yung pagka-print sa paper when printing multiple pages as the printer misaligns the paper, and thus nagkakaroon ng slight angle (tabingi yung paper). Fourth, the ink easily gets dried up which is not a good thing. Fifth, in the long run thus, the printer isn't sustainable as ink refills costs 2,000 PHP. We weren't really knowledgeable of these things/problems that can arise before, and it turned out to be a single edged sword that damaged us. I'm really very OC about our prints because the way our print looks define our personality and as a neat-freak, I don't want my personality be damaged just because on how my printer produces output. That's why we refrained from using the printer starting 2009. I'm ready for an HP Deskjet Ink Advantage upgrade because it can do a lot of things - it's not just for printing as it can scan, copy and web. It's very sustainable because its easy to use, efficient (maximizes output) and affordable. Most importantly, in today's level of technology, we need something that can go with the flow, and HP Deskjet Ink Advantage can surely do that as it can allow us to print from our smartphones which is really a WOW factor! I want to win an HP Printer for my kids, they need it for school work and assignments. We have an old HP Printer that stopped working for more than a year now. I still kept it because It is just hard to throw a thing that we value. I have saved money for that and bought it, still for their school work. Not until Typhoon Pedring flooded our apartment and the unit was half submerged in water. We tried to save it and ask for a technician to check it, they can't repair it. I keep on trying to save to buy another one but I keep on failing due to some emergency needs. I am always nervous when my Son go out at night and need to have his and his sisters project to be printed in the Internet Shops, which there are a lot of "tambays" in the corner street. I keep on telling him to go home quick and watch were he goes. My neighborhood is not that quiet safe for my kids to walk alone. I know this will help them a lot with school works and it will keep them safe. 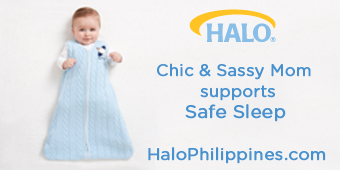 Hi Chic & sassy Homemaker, shared you a pic in twitter. That's the printer I told you in my post. I was using it to make some "sideline" at home, but when it break down, I felt sad, I felt I lost one of my passions in life...but your blog gave me hope to have another one, a better & more modern one. Hope you & HP will be an instrument for that so-long dream of mine...thanks & more powers, happy mothers' day!! !